The Digest has been reporting on RED for years and more recently on RED II, but sometimes it’s hard to keep up with all the proposed changes, the votes, and the backlash and criticisms, so here’s a highlight reel of the latest and greatest. 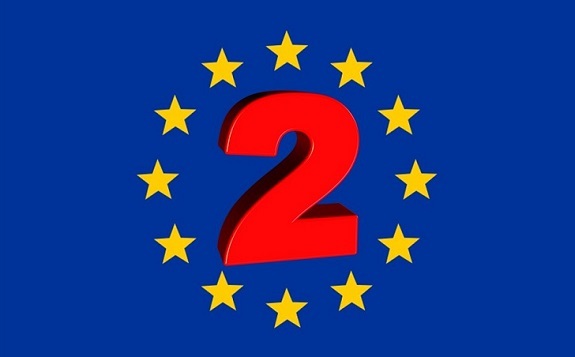 You may have heard that the European Parliament voted in favor of the RED II (Renewable Energy Directive) proposal in January. Probably the most notable (or at least covered in the news the most) was their decision to remove biodiesel made from palm oil from its list of biofuels that can count towards the EU’s renewables target from 2021. The European Parliament also voted to include an overall transport target of 12%, containing a 10% blending mandate for advanced fuels, including electricity, waste-based biofuels and recycled carbon fuels. As reported in the Digest in January, ePure and farm groups Copa-Cogeca were pushing hard on the yea side while a group of 30 NGOs including WWF and Transport and Energy on the nay side have sent a letter arguing against the use of biofuels in transportation. The European Commission, Parliament and EU Member States have all staked out different positions on how much biofuels can contribute to renewable energy targets for transport. Environmental groups including WWF Europe, Oxfam, BirdLife Europe and Transport & Environment were hitting out at the proposed Renewable Energy Directive II even last year as reported in The Digest in October 2017. They attached the REDII’s continued support of biomass power where member state governments are allowed unlimited support of co-firing trees and crops at coal-fired power plants, calling it “burning taxpayers’ money” as well as the use of crops for liquid biofuels. They say more stringent sustainability criteria are required to fight global warming and ensure responsible resource use. In case you missed it, the debate continues on palm oil from Malaysia and Indonesia and the REDII’s take on banning palm oil altogether. As reported in The Digest in February, either way you slice it, the message is clear from the EU – yes to sustainable advanced biofuels like waste-based biofuels, but no way to food or crop-based biofuels. The EU wants to support biofuels that are good for the environment and sustainable while helping their domestic economy – palm oil from abroad doesn’t seem to fit the bill for either of those two goals. What they may not realize is that this offers up opportunity for other countries like China to swoop in and up their palm oil imports. But it also offers up opportunity for advanced biofuels and non-food based biofuels to step up their game and take off with much needed support and demand. This is one instance when “what’s good for the goose is good for the gander” works. What’s good for advanced biofuels and non-crop biofuels is not so good for palm oil producers. Double counting can be an issue for European ethanol – for example, sugar molasses counting as both waste and agriculture products. Eric Sievers, the director of Ethanol Europe, which owns Europe’s largest biorefinery at Dunafoldvar (Hungary), said classifying starch slurry or molasses as waste when they are clearly food or feed products, was “just wrong,” according to Euractive. Want to read more about European ethanol and how it is under siege? Be sure to check out the Thought Leadership piece on European ethanol from James Cogan for a new perspective and thought provoking ideas.